What can we say? 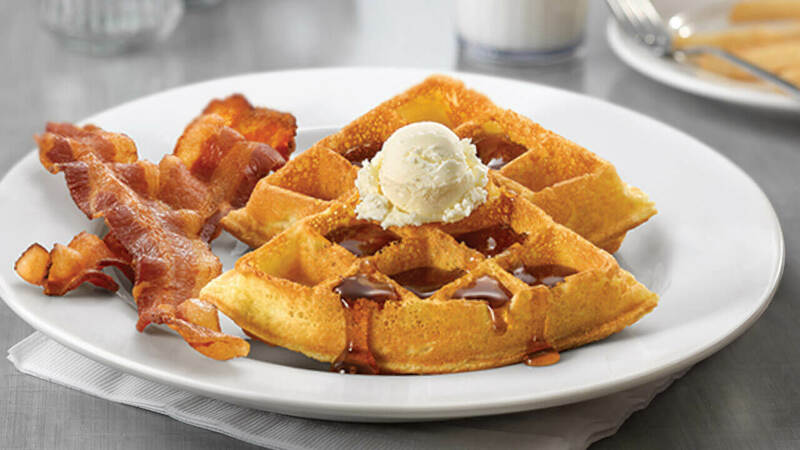 We love crispy, fluffy, take-up-your-whole-plate Belgian Waffles! Scrambled egg whites and American cheese on a toasted English muffin served with apple slices. What's French about French Toast anyway? We bet your History teacher knows the answer. But, let's get to ordering a delicious stack of French Toast for breakfast! Color outside the lines! 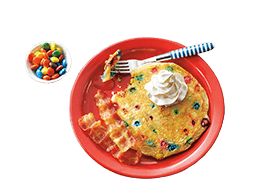 Better yet, color your way to delicious Tie-Dyed Pancakes with M&M's® for breakfast! Every superhero knows that breakfast is the most meal important day. So, pick something delicious... like fluffy, buttery pancakes!